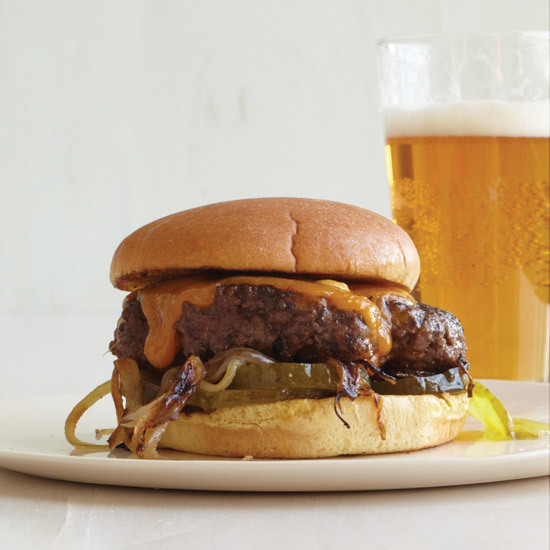 Inspired by the sliders at White Manna in Hackensack, New Jersey, Adam Fleischman creates beef patties by flattening balls of ground meat on the griddle. Pairing: Hoppy pale ale: Dale's Pale Ale. Pairing: Tangy wheat ale: Avery White Rascal. Pairing: Refreshing lager: Tasmania James Boag. Pete Evans grills whole fish in banana leaves with soy, sherry and ginger. Pairing: Lemony Semillon: 2009 Torbreck Woodcutter's. "Putting potato chips inside sandwiches has always been a favorite trick of ours," says chef Jon Shook. 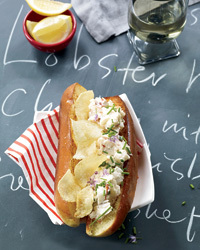 He and co-chef Vinny Dotolo serve chips on Tabasco-spiked lobster salad tucked into buttery toasted buns. 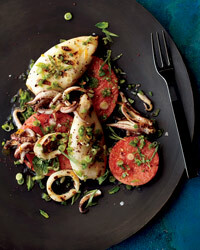 Pairing: Fresh, citrusy Italian white: 2009 Sella & Mosca La Cala Vermentino.